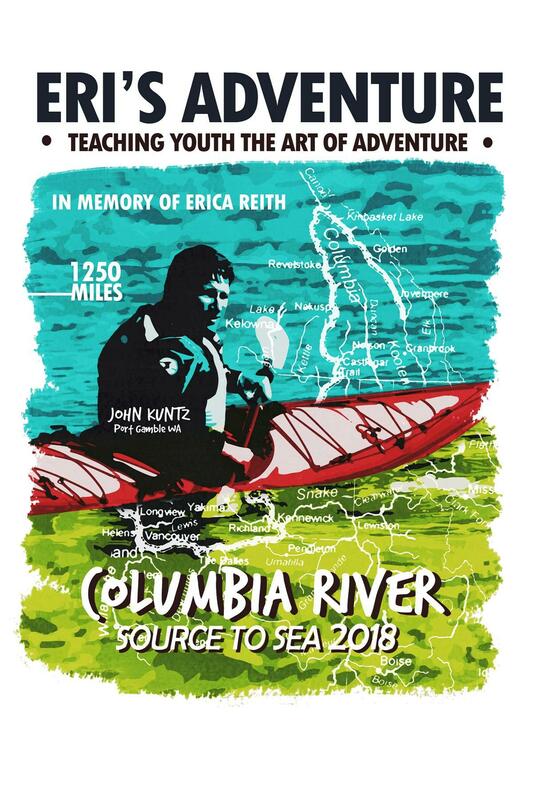 In August of 2018 John Kuntz, owner of Olympic Outdoor Center, paddled the entire length, 1250 miles of the Columbia river from source to sea in honor of Erica Reith (Eri), (a young person whom tragically lost her life at the age of 19) and in the name of teaching youth the art of adventure. In life we have a chance to pay it forward and that is my goal, to let youth know there is more to life than the world that they know. That it is OK to take risks safely to gain the reward of a life time. 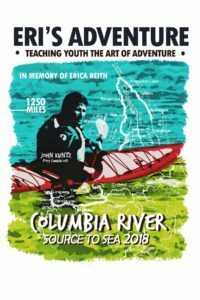 Eri was a beautiful person that loved the outdoors and helping others, In her honor I am dedicating this paddle so that others may follow, because LIFE IS AN ADVENTURE that we must teach our youth. Please use the donate button below to pay a suggested donation of $25.00, or pay at the door. Seats are limited and we would like a count so we know how many chairs to set-up. Email Andrée Hurley at wwta@wwta.org to reserve a seat.